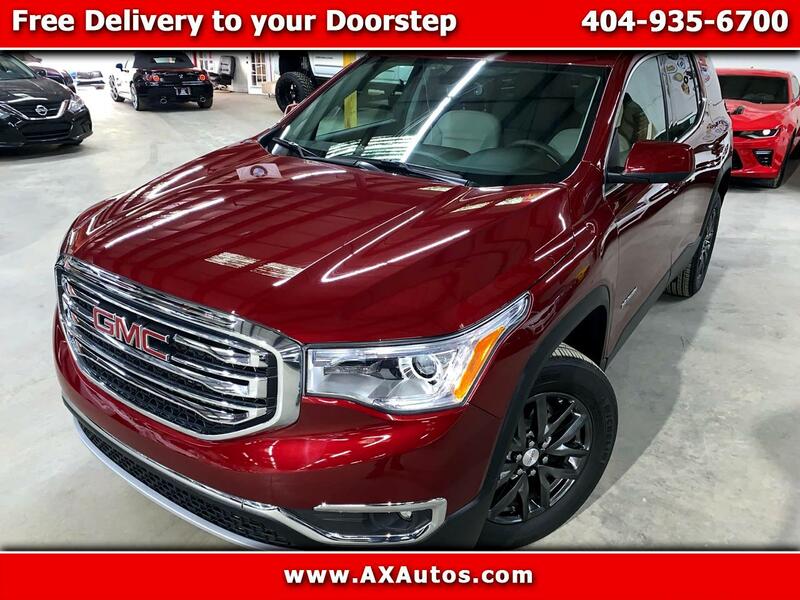 WATCH LIVE VIDEO OF THIS 2018 GMC ACADIA SLT! LEATHER SEATS! V6 POWER! 3RD ROW SEATING! APPLE CARPLAY AND ANDROID AUTO! REAR CROSS TRAFFIC ALERT! LANE CHANGE ALERT WITH SIDE BLIND SPOT MONITOR! 4G LTE WIFi! REAR PARK ASSIST! LED DAYTIME RUNNING LAMPS! BOSE PREMIUM AUDIO SYSTEM! The vehicle will come with a rebuilt title due to previous collision damage. Vehicle was purchased from Insurance Auction and this vehicle had very minor damage caused by an accident on this vehicle this on of them we had trained buyers out there finding cars with very cosmetic work. The vehicle has been inspected by the State of Georgia and by an authorized dealer and serviced. This one is a perfect vehicle. Car must be financed from Credit Union or paid in Cash we do have credit unions that we work with to finance you in this vehicle.